Every marriage is guided by a set of habits. The question is: Are they healthy habits that result in a God-honoring and joyful marriage, or are they bad habits that lead to a self-centered and strained marriage? This is a brand new marriage seminar, by pastor, counselor,, and best-selling author Dr. Paul David. 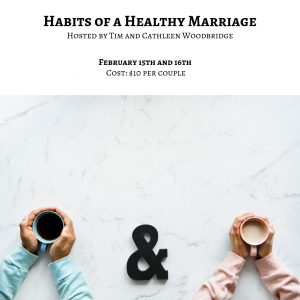 This 2 day seminar will detail the necessary habits required for a healthy marriage while identifying the bad habits that need to be uprooted.